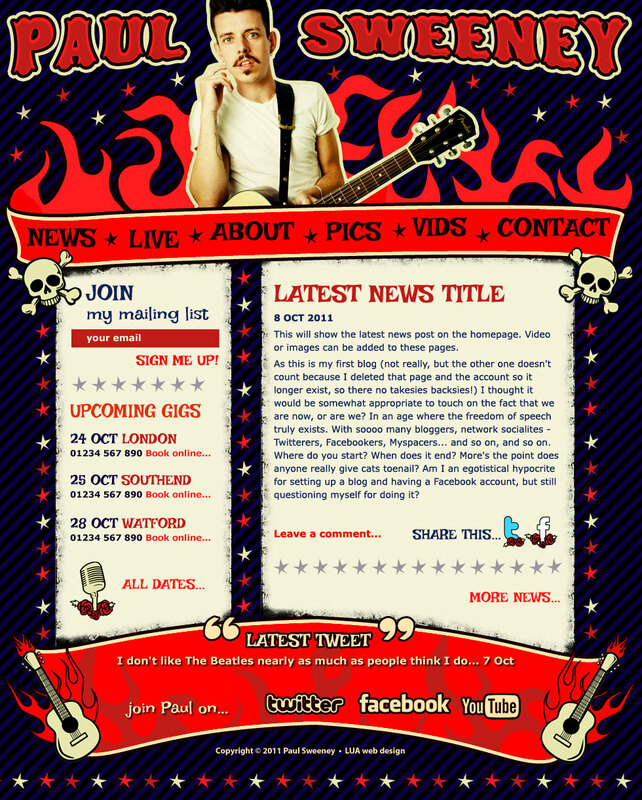 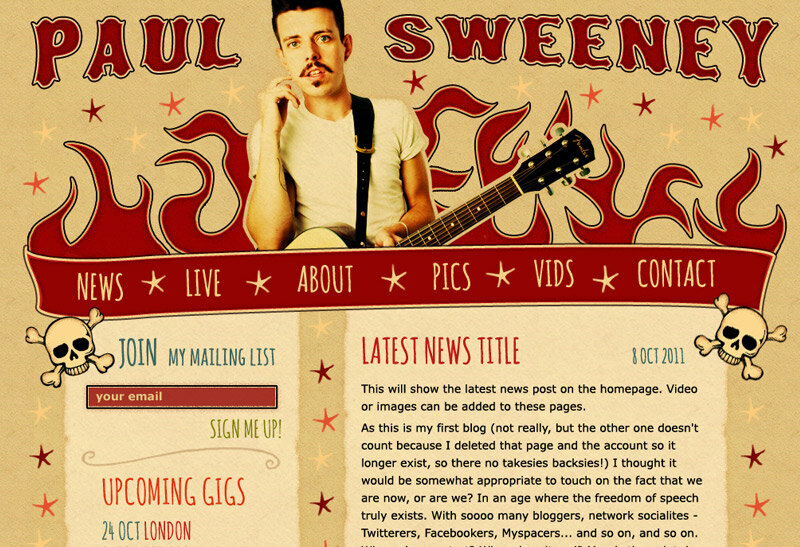 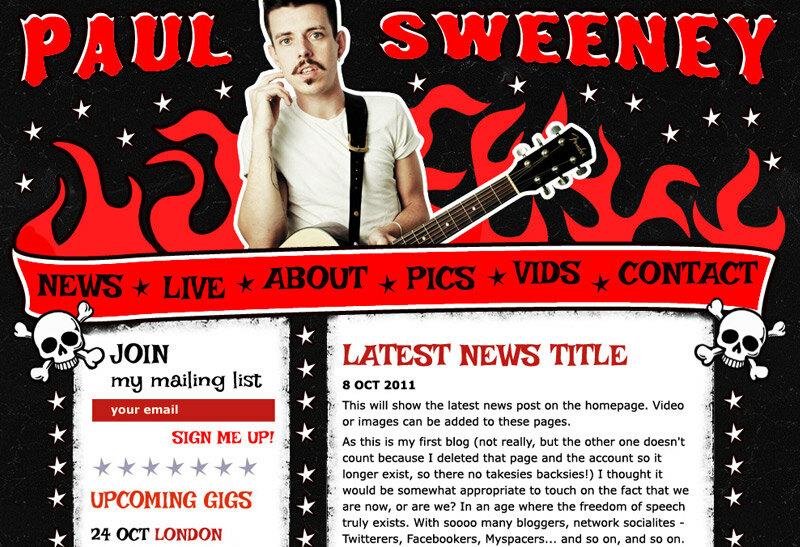 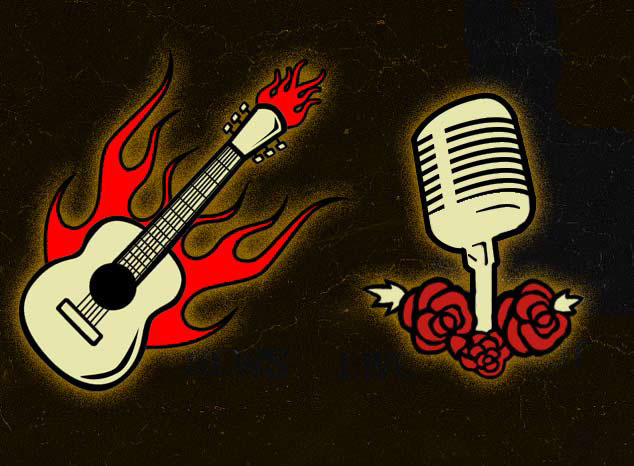 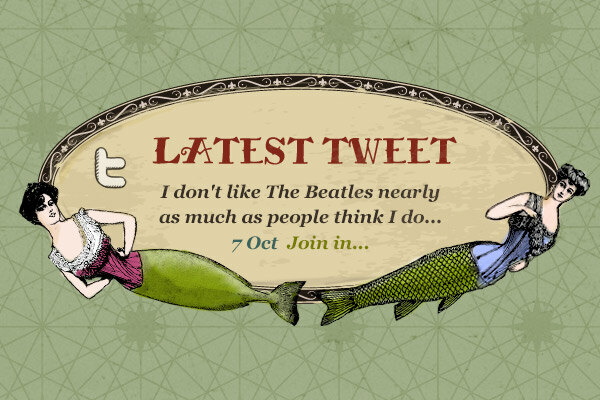 From the archive - A web design project for musical comedian Paul Sweeney completed in 2011. 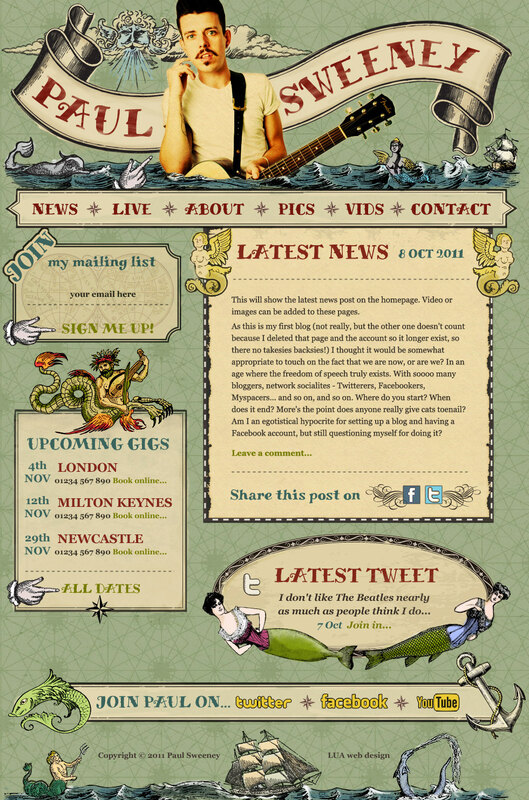 The series of images show the progression of the design to the finished website layout. 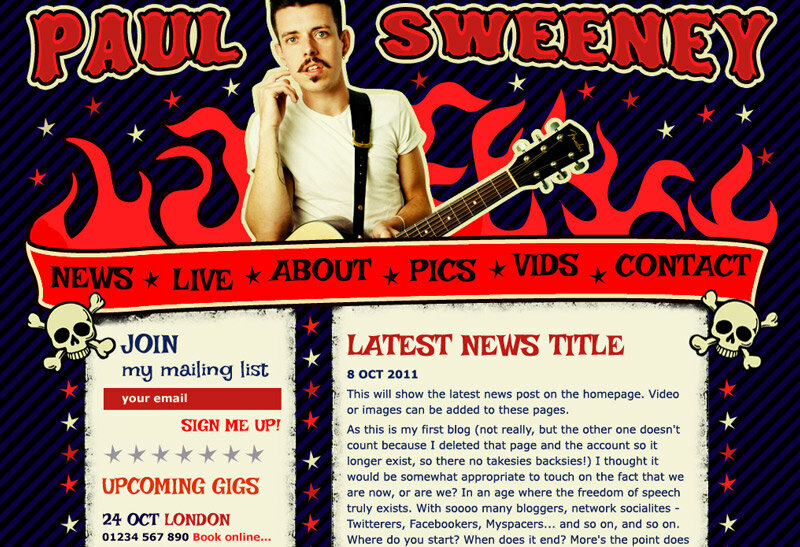 A series of layout designs for the musical comedian Paul Sweeney. 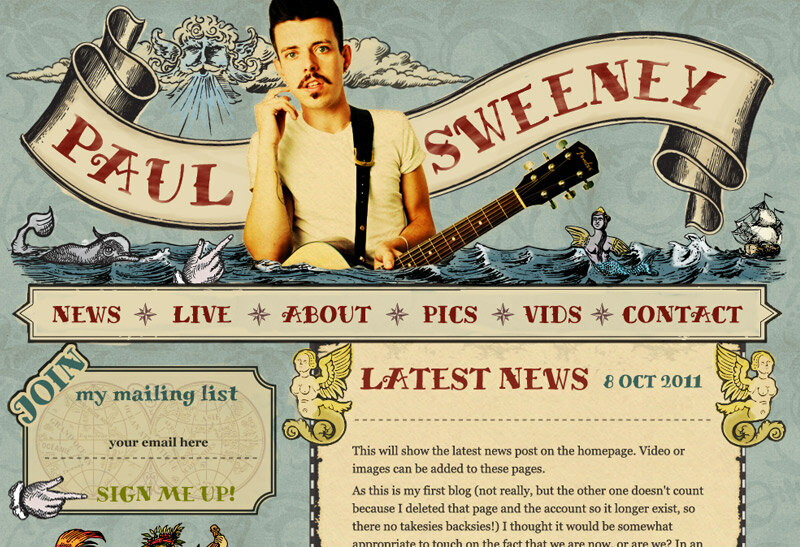 Initially based on a Rockabilly style we eventually chose the Nautical Victoriana theme which is shown near the bottom of these proofs. 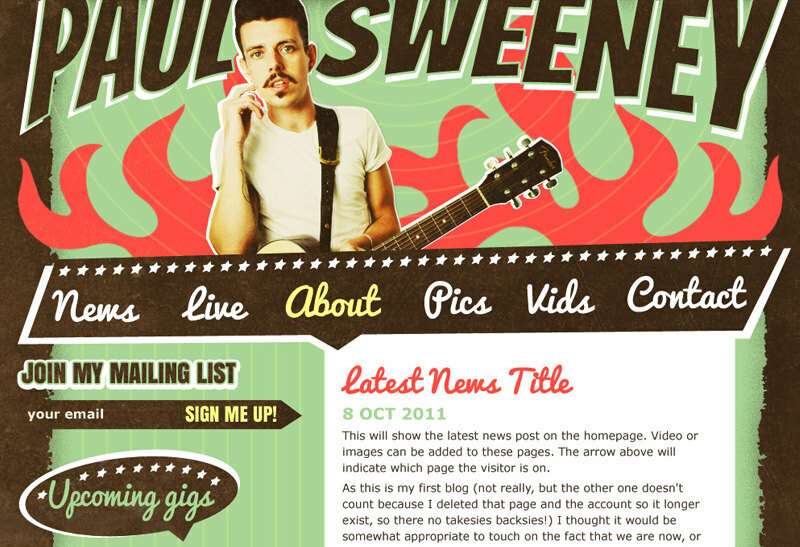 This is an archived work from 2011 for paulsweeneycomedy.com.